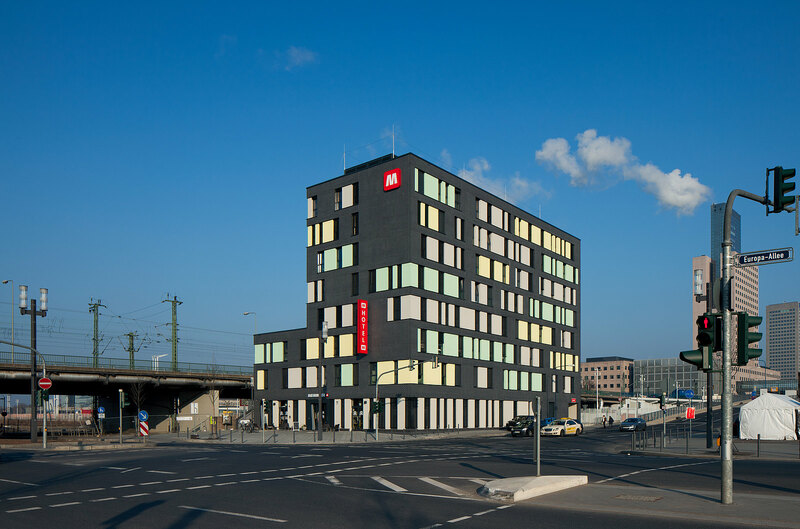 Developed and built by CA Immo Deutschland, the Meininger Hotel on Europa-Allee 64 is centrally located close to the trade fair grounds in Frankfurt’s Europaviertel, which was also developed by CA Immo. 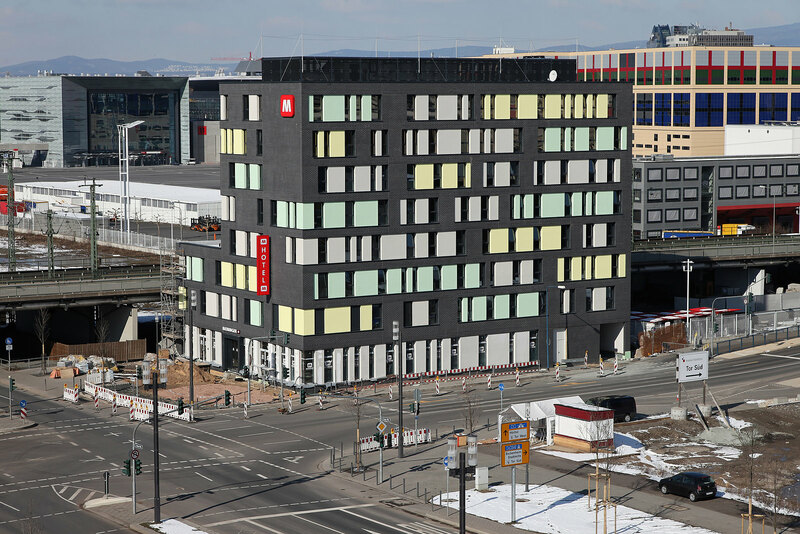 The hotel, which is let to the Meininger Group for the long term, has good transport links thanks to a location on the Emser Bridge opposite the Torhaus entrance to the trade fair centre. The Meininger Hotel has 164 rooms and approximately 4,300 square metres of floor space. CA Immo Deutschland finalised the turnkey handover of the hotel to the Meininger Group in the spring of 2010. Construction management was undertaken by the CA Immo Deutschland subsidiary omniCon. Do you have any questions, or need more information on the Meininger Hotel in Frankfurt? Simply contact us!